Tapout Tune of the Week! One of the many great aspects of having a Tapout Tuned ATS-V is that you can drive it every day with no worries of being stranded somewhere because of a problem with the tune. We take a lot of pride in the fact that we create a custom Remote Tune that’s as safe as factory specs and provides a huge boost in power and performance. An example of that is in this week’s Tapout Tune of the Week, Sean from Arizona. He previously had his ATS-V tuned by another prominent company but right after he started to drive it he wasn’t happy. The power delivery was not smooth, and he was disappointed in the car’s overall drivability. This was a major issue for Sean because his ATS-V is his daily driver and he did not want to be dealing with these kinds of issues. He made the decision to have his car Remote Tuned by Tapout and he has been thrilled ever since. “I was so much happier with the all-around performance. The boost is more consistent early in my powerband, the transmission no longer throws me against the steering wheel when I shift, and overall I could not be happier with my Tapout Tune.” That’s what it’s all about for us at Tapout, turning your daily driver into a true performance vehicle, with no sacrifices. With summer fast approaching everyone is eager to get their cars ready for the season. Whether you are a hard-core racer or just enjoy driving, Tapout has you covered with the best tuning solutions and aftermarket parts available. Today we are looking at one of this week’s tuning customers, Japjeet from Washington. 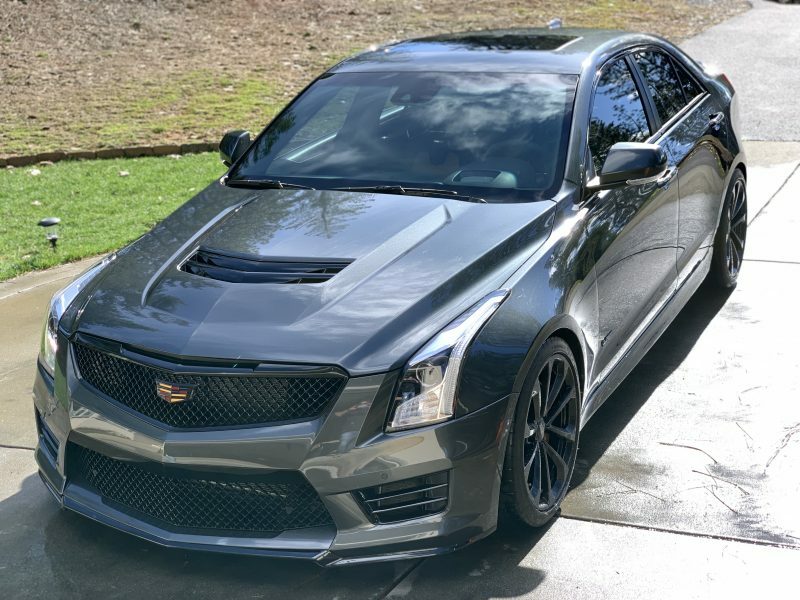 He wanted to maximize the performance of his ATS-V and after considering the different options for remote tuning, he found that Tapout provided everything he was looking for. Japjeet has a busy schedule and was concerned that may be a challenge when completing his tune. But after a short time working with Scott, all his worries disappeared. “He let’s you take your time to send him scans and perfects the tune until you like the way the car runs”. We are tuning your ATS-V for YOU and that means taking the time to work with your schedule so that you get the Remote Tune you’ve always dreamed of. Bigger and Better Tapout Stickers Now Available! The ATS-V community is a close-knit group and we have enjoyed getting to know so many of you. The advancements made with this platform are in large part thanks to you, our customers and friends. Our Tapout Stickers have been very popular, and we think it’s great that you show your support by having our stickers everywhere. There have been requests for us to offer different sizes so we now have these in 6″, 12″ and 18″ sizes. Bigger is always better so head over to our Tapout site to see these new stickers. If you’re already running our Tapout Tune, send us an email to Sales@TapoutTuning.com for some complimentary stickers as a show of our appreciation, just let us know which size and how many you’d like. The advancements we’ve made on the ATS-V platform have been a group effort, and we’re happy to be part of that community. Tapout would like to congratulate Justin Schmidt for setting a new Stock ATS-V quarter mile record at Cecil County Dragway on Friday evening. On a night with no track prep he attacked the rankings and laid down an 11.404 @ 127.69 mph! 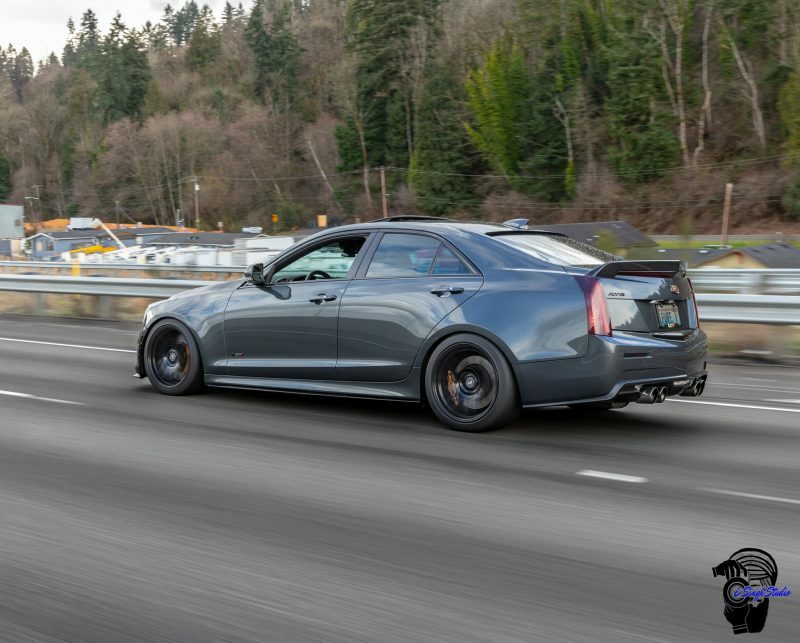 Justin was running street tires on his 2016 ATS-V M6 sedan with a full race weight of 3,970 pounds. His car has no hardware modifications of any kind, just some octane booster and a Tapout Remote Tune. Tapout tuned ATS-Vs now hold both first and second place in the Stock ATS-V category. One has an A8 transmission and the other an M6. If you’re looking for an ATS-V tune that produces real results, backed by customer service no one can match, drop us a line. As we learn more about the ATS-V we continue to refine our Remote Tuning process. New information can shed light on ways we can pull even more power from your engine, all while doing so safely. Our studies have allowed us to be more efficient, but that doesn’t mean we will spend any less time working with you on your Remote Tune until you are 100% satisfied. An example of that is in today’s Tapout Tune of the Week. Tom from California has had more than a dozen tuned cars over the years and his Tapout tune stuck out to him. 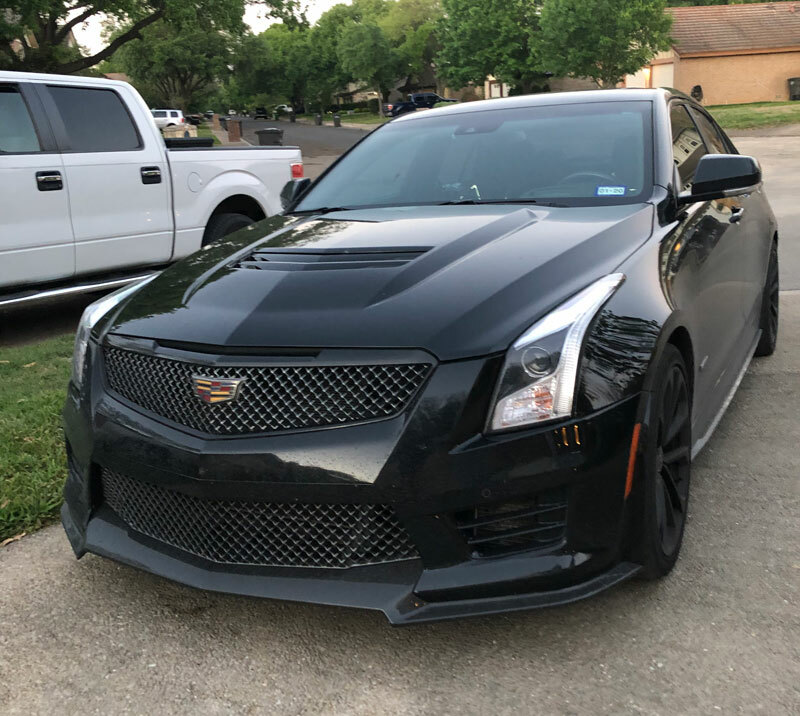 Where previous tunes he had were a “one-and-done” type of deal, he was happy to see we were willing to take the time to speak with him to learn what he wants out of his ATS-V as well as answer any questions he had. “Since I purchased my Remote Tune and wideband setup from Scott I have had at least 15 emails back and forth, plus three phone conversations – on weekends too!”. Visit Tapout today so you can get your ATS-V tuned the way YOU want it. 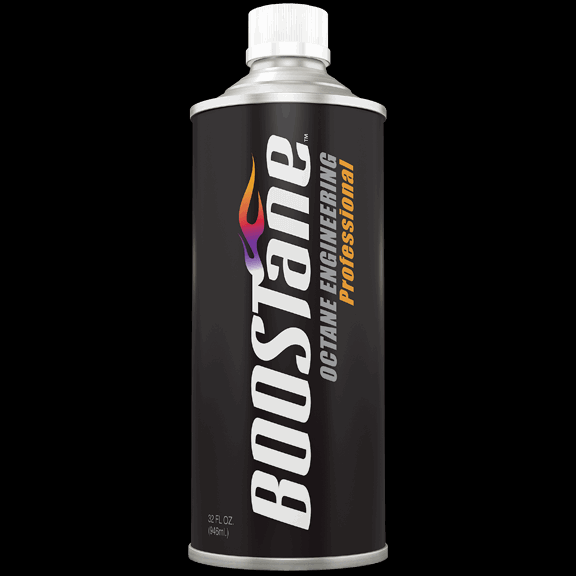 Tapout Tuning is happy to announce we are now offering BOOSTane Professional Octane Booster! BOOSTane is the leader in octane engineering and is formulated to increase octane levels up to 116. Their formula provides professional racers and racing enthusiasts alike a safe and convenient alternative to expensive and cumbersome racing fuel. We want to help you get the most out of your ATS-V and BOOSTane, when paired with a Tapout Remote Tune, will help you to get your best times at the track yet! Additional benefits include anti-corrosion against ethanol, anti-carbon build up and we even off it in a variety of packages so you can buy exactly what you need. Racing season has arrived, so let’s get faster together! Congratulations to Justin Laczynski for Making it onto the Rankings Chart! Last weekend we congratulated Justin Laczynski for making it onto the Modified ATS-V rankings chart. This morning he shaved off another quarter second and moves all the way up to third place with his new best time of 11.071 @ 119.70 mph. Justin’s 2016 ATS-V A8 sedan has a full race weight of 3,995 pounds and modifications include intake, octane booster, exhaust, drag radials and Tapout Remote Tune. Tapout Tuned ATS-Vs now hold four of the top five spots in the Modified ATS-V category. Let us know if you want to be next! Congratulations to Justin Schmidt for Setting a New Personal Best Time! 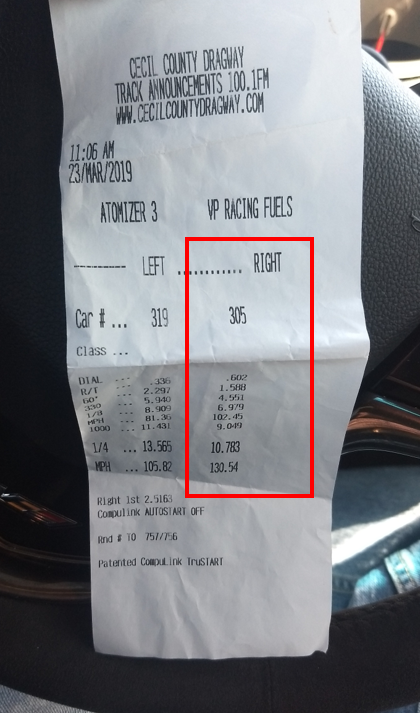 Tapout would like to congratulate Justin Schmidt for setting a new personal best time at Cecil County Dragway! 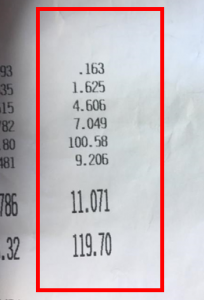 Justin ran 10.783 @ 130.54 mph in his 2016 ATS-V M6 sedan with a full race weight of 3,970 pounds. 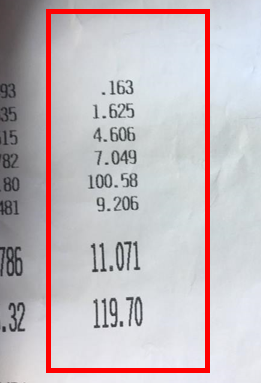 Justin did no weight reductions whatsoever and didn’t even change tires at the track. This is a legitimate 10-second street car no matter how you look at it. Justin’s new best time moves him up to the number one spot in the Modified Category, with only octane boost, drag radials and Tapout Remote Tune. He is also ranked number seven overall. ATS-V Torque Converter Upgrade Now Available! If you want to make big power out of your ATS-V, Tapout wants to make sure you have all the right parts to keep you going. 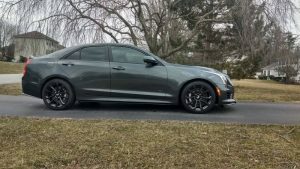 For those that like to go drag racing, and whose ATS-V is an automatic, the torque converter is going to experience a significant amount of stress if you’ve tuned your car for more power. Stock ATS-V torque converter fins are not brazed and when you crank things up past 500 whp on a sticky tire you’re asking for trouble with the OEM units. Any kind of shock or spin and hook could create big problems. Our converters begin as brand-new OEM units, which are reworked to raise stall and flash speeds by approximately 1,000 rpm. 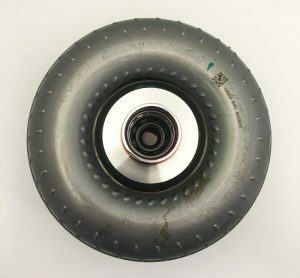 The converter fins are brazed, and other internals are significantly reinforced. The result is a converter that we expect to handle at least 900 whp. You’ll have full streetability and lockup features are retained which makes this the ideal converter for street and/or strip use. Big Horsepower, Broad Torque Curves and Track Ready! Check out the Dyno chart below and you can see our most recent dyno numbers on E47 fuel. This is how Scott’s ATS-V will be configured when we hit the track once all the snow melts in Ohio. Notice how the torque curve is exceptionally wide, and almost seems to blend into the horsepower line. Tapout Tunes produce the widest powerbands and have the most area under the curve. And yes, you’re reading the chart right, that’s peak power numbers of 611 whp and 595 wtq on a completely streetable tune. We can do this for your ATS-V, and you won’t believe the monster this car can become at the track. Get your Tapout Tune today, so you don’t tap out at the track.